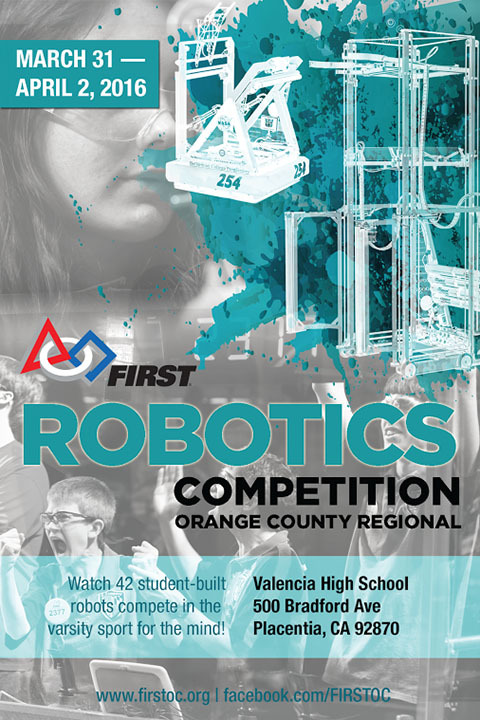 For the first time ever, Orange County will host the FIRST Regional Competition, and the event has been awarded to Valencia High School. Valencia’s robotics team, the TiGears, are currently designing their robots. The exciting event will take place from Thursday, March 31, through Saturday, April 2. Admission is free, and all are welcome to attend this exciting competition. The action will also be live-streamed on Tiger Tube, Valencia’s video website. Click here for more information. Be the first to comment on "Valencia to host robotics competition next week"